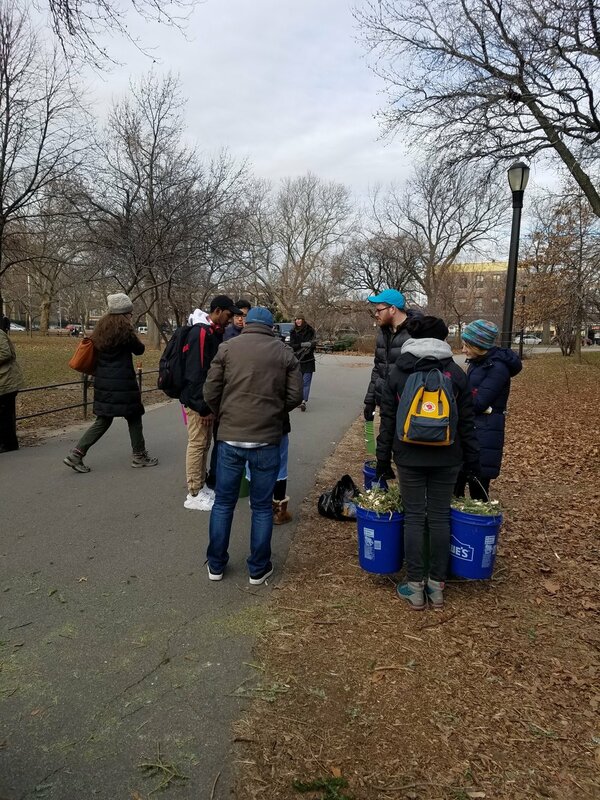 Greening Greenpoint was joined by over 30 volunteers for NYC Parks Mulchfest 2019 in McCarren Park! 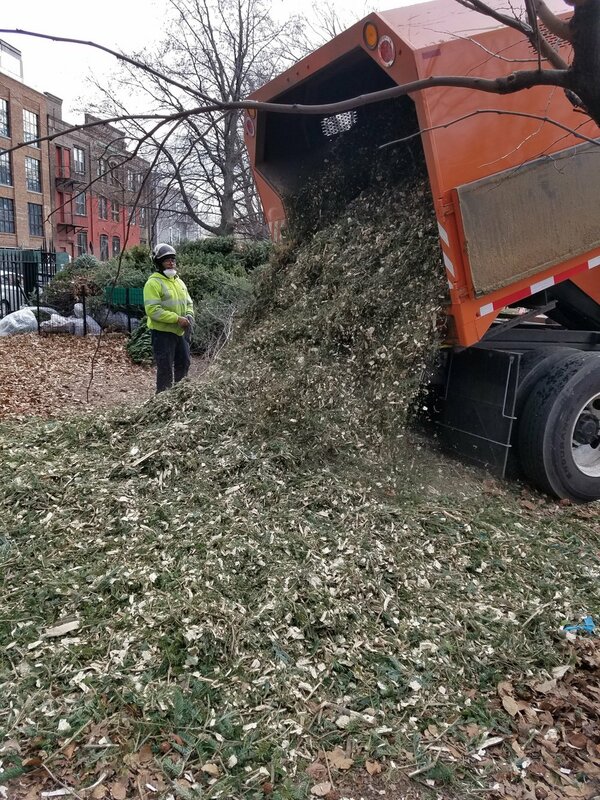 Holiday trees were chipped into mulch on-site and spread over more than 100 street tree beds on blocks surrounding the park. 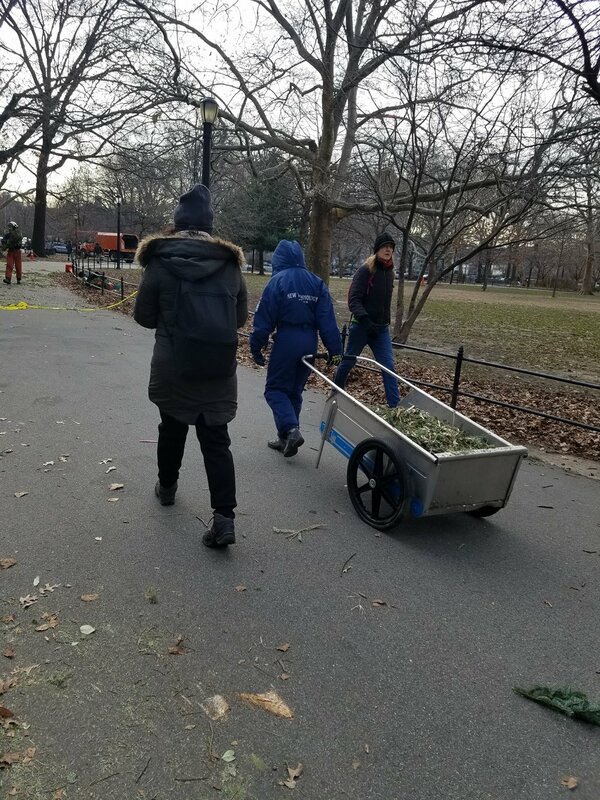 Trees New York led a pruning outing in McCarren with a group of Citizen Pruners, removing two truck beds full of branches which were mulched in the park. The rest of the mulch will be used by NYC Parks in parks, gardens, and planting areas throughout the year!